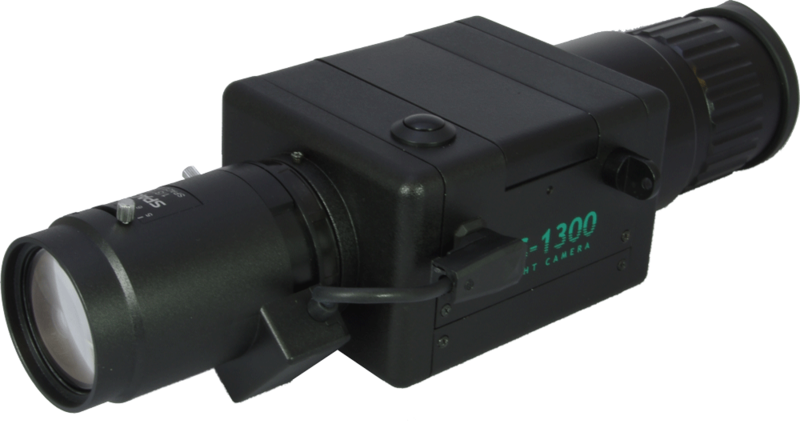 NS-1300 is a supersensitive night camera. It has strong sensitivity to the range between 770 - 1300nm <*1>. 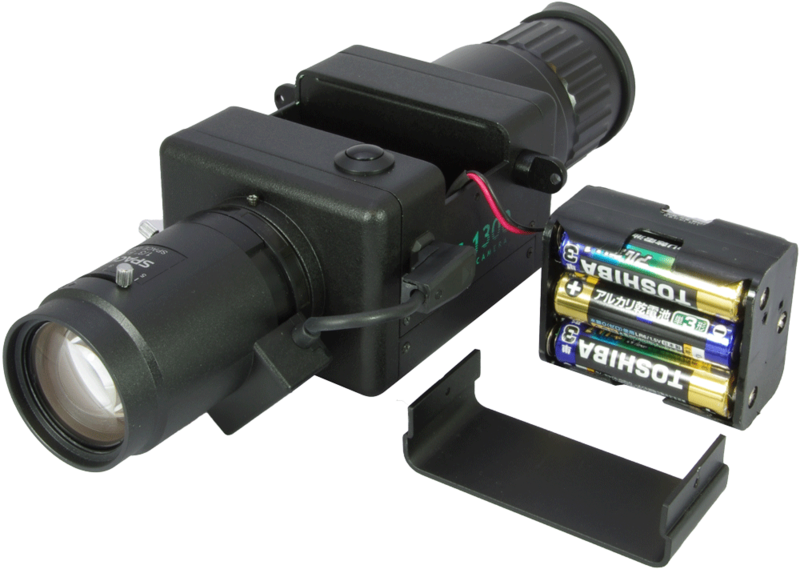 Because of this high sensitivity, NS-1300 is capable of monitoring in the darkness without any light sources. 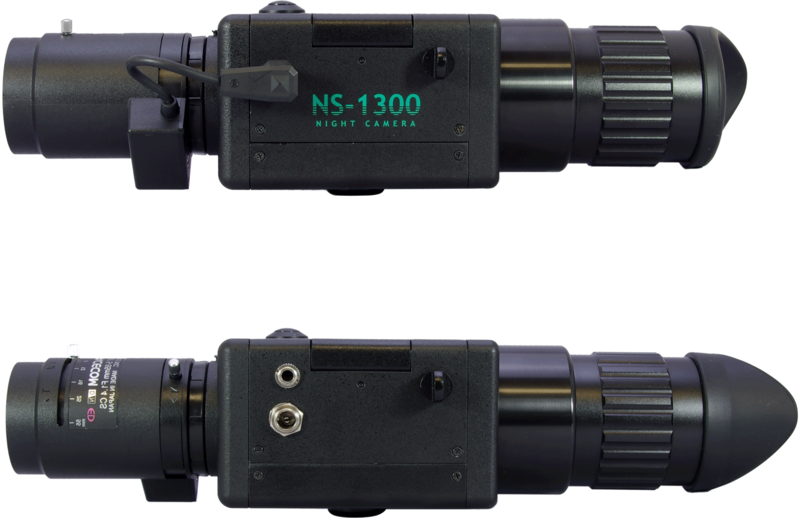 We recommend our NS-1300 for your night surveillance. 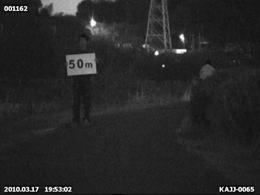 <*1> Sensitivity of normal B/W camera is maximumly 1000nm. Caution: NS-1300 is not water proof. 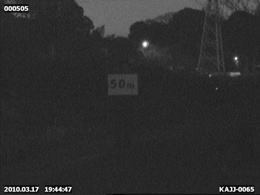 Please take a look at the following images. They are the comparative test results of NS-1300 and EX-View<*>. Both cameras have 0.0003lux. EX-View has done a good job but NS-1300 has brighter images. <*> No light sources were used during this test. 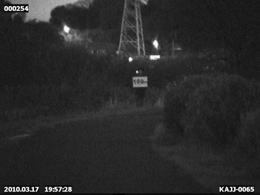 But there were a few week street lamps further away. 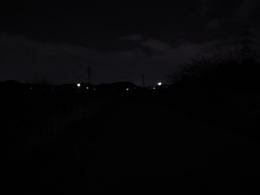 ■ns-1300 with varifocal 5-55mm lens (50m)ns-1300 captured a man's back who's at the end of pass. 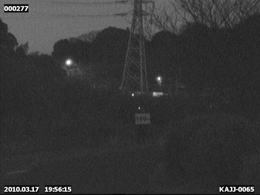 ■ns-1300 with varifocal 5-55mm lens (100m)ns-1300 shows the image of a pass runing ahead. ■the graph of curve of sensitivityns-1300 has higher sensitivity than other brand through the whole range.